Campaign for the American Reader: What is Tanya Katerí Hernández reading? 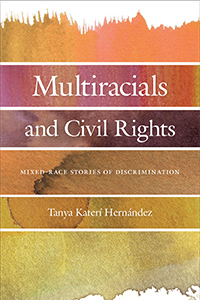 Featured at Writers Read: Tanya Katerí Hernández, author of Multiracials and Civil Rights: Mixed-Race Stories of Discrimination. I have been re-reading Trevor Noah's memoir Born a Crime: Stories from a South African Childhood, in anticipation of the film version that Lupita Nyongo is slated to star in portraying Noah’s mother. 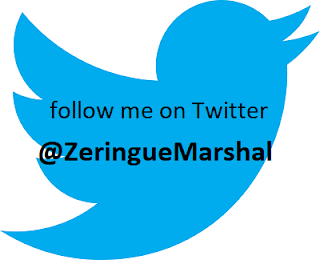 The book has a special resonance for me as a comparative-race law scholar whose personal background as a black-identified mixed-race Afro-Latina traveling the globe informs her insights about the (in)significance of the growth of racial mixture to the pursuit of racial equality whether it be in the US, South Africa, or Latin America. 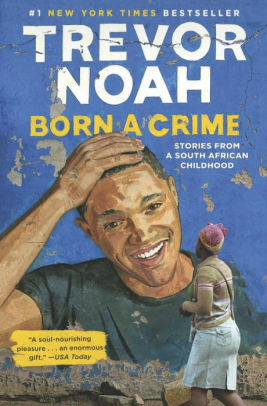 Noah’s story of being mixed-race during and after apartheid ended in South Africa is both a poignant and humorous read (as you would expect from the host of Comedy Central’s The Daily Show. In Multiracials and Civil Rights, Tanya Katerí Hernández debunks this idea, and draws on a plethora of court cases to demonstrate that multiracials face the same types of discrimination as other racial groups. Hernández argues that multiracial people are primarily targeted for discrimination due to their non-whiteness, and shows how the cases highlight the need to support the existing legal structures instead of a new understanding of civil rights law. The legal and political analysis is enriched with Hernández's own personal narrative as a mixed-race Afro-Latina. Learn more about Multiracials and Civil Rights at the NYU Press website. The Page 99 Test: Racial Subordination in Latin America. The Page 99 Test: Multiracials and Civil Rights. Writers Read: Tanya Katerí Hernández.